With halloween just a mere four months away, it’s time to begin thinking awesome photo techniques! This photo really came about with some trial and error from a night out trying to catch fireflies. I think the general alarm went off as soon as we stepped outside because the millions that had been noticed the night before were no where to be found tonight. And what’s a scrappy mom to do if she can’t take photos of the thing they went out to do? Make some up!! I was trying to get a shot of the boys in the dark with a camera that isn’t fond of anything other than studio perfect lighting situations (which of course I never have), when my husband came up with a brilliant idea! He used his flashlight to add some extra light to the boys to help the camera pick it up. The flashlight he has is an LED flashlight that also switches from a large white light to a green night vision to a black light to a white strobe light for signaling. While this version is available at large electronic stores and online, it’s $20+, we found a Cree flashlight (these are awesome flashlights, btw), that will work well, and is inexpensive, especially if you need it for a party setting. There is a 4 color filter flashlight available, too. We then had him stand behind me shining the light on the boys while we took these shots. The light is very bright, and was able to shed the eerie light on them well. Plus we weren’t trying to get perfect shots, but action shots, so they came out looking a lot like this one. This would make a cool Walking Dead Party photobooth item, too! Don’t have the flashlight or can’t find one near you? 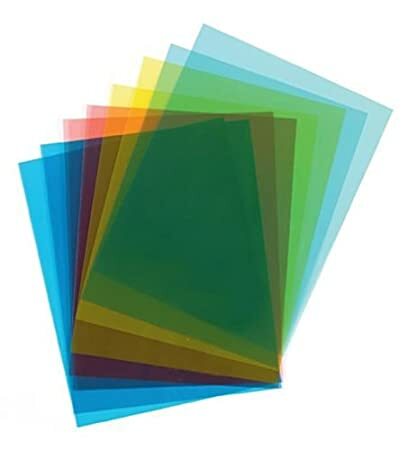 Try the tinted transparency film that can be found at office supply stores, craft stores, art supplies or even Amazon. Simply remove the lens cover from your flashlight. You’ll want to use one that is very bright. Trace an outline onto the sheet of a piece of colored transparency paper and then replace the original lens cover with the new colored insert over it. Then you can change the effect of your lighting when taking photos! Some can give you a spooky look like the green, or a dreamy look with the blue, etc. 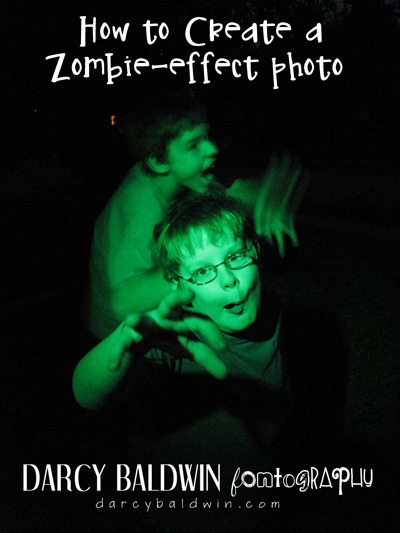 This would make a really fun photo experiment with your kids this summer!